Although not widespread in commercial flocks, hysteria can be a very serious nuisance and economic cost factor if encountered in a flock. Hysteria is easy to distinguish from an ordinary flighty flock, as the birds seem to lose all normal social behaviour and sense of direction and will mill and fly in every direction making unusual crying and squawking sounds. Birds often go into a molt, and then egg production declines. The condition of hysteria is more difficult to distinguish from flightiness in birds that are cage-reared rather than floor-reared. However, if one studies the flock for a period of time, differences can be seen. The exact cause of hysteria is unknown, and attempts to artificially induce it in flocks have failed. Many people believe it is related to nutritional or environmental factors, or to a combination of both. Hysteria is more often encountered in birds 12 to 18 weeks of age; although it is sometimes also seen in older birds. Overcrowding is thought to be a factor in triggering the condition. Many drugs, feed supplements and management practices have been tried in an attempt to cure the condition with little or no success. Some people believe that it is a behavioral problem with the hens reacting to any noise or stimulus to which they are not accustomed. Why some flocks react differently to others is not known; however, it is well known that small differences in various stressors result in markedly different responses in flocks. 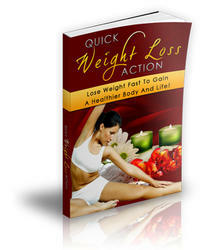 A number of diet modifications have been tried in an attempt to alleviate hysteria. These include high levels of methionine (2 kg/tonne), niacin (200 g/tonne supplement) or tryptophan (up to 5 kg/tonne supplement). The latter is thought to have a sedative-like effect by influencing brain neuro- transmitters. However, the response has been variable, and hysteria seems to return once tryptophan is withdrawn from the diet. In addition, until the price of tryptophan is reduced the treatment is prohibitively expensive. There is anecdotal evidence that adding meat meal or fish meal to a diet resolves the situation in birds fed all-vegetable diets. The condition is usually more severe with larger cage size groups and is a factor of floor space per bird rather than bird density. Frequently the incidence of picking has been shown to be higher in multiple bird cages where there is in excess of 460 sq. cm. of space per bird. When birds are more confined, they do not seem to be as aggressive. One of the most effective ways of avoiding a problem is to reduce light intensity. Where rheostats are available, these should be adjusted to a sufficiently low level that picking or cannibalism is kept to a minimum. With better control and understanding of light programs today, prolapse and associated problems are more likely to occur later in the production cycle. Mortality of 0.1% per month due to prolapse is now considered problematic. While this type of problem is aggravated by high light intensity as well as high stocking density and poor beak trimming, it is felt that one of the main factors triggering the condition is low body weight. Even if pullets mature at body weights recommended by the breeder, many of them are up to 100 g lighter than standard at peak production. This, we suspect, is because the pullet is maturing with a minimum of body reserves. The bird also has a low feed consumption as it has been conditioned on a feed intake near to maintenance just prior to commencement of lay and so hasn't been encouraged to develop a large appetite. The pullet is laying at 92-96% and thus utilizes her body reserves (fat) in order to maintain egg mass production. This smaller body weight bird is often more nervous and so more prone to picking. Under these conditions, the nutritional management program of pullets outlined earlier in this chapter should be followed. Prolapse can sometimes be made worse by feeding high protein/amino acid diets to small weight pullets in an attempt to increase early egg size. Coupled with an aggressive step-up lighting program this often leads to more double yolk eggs and so greater incidence of prolapse and blowouts. Such pullets are often below standard weight at 12 - 14 weeks, and so any catch up growth is largely as fat, which also accentuates the problem. Being underweight at 12 - 14 weeks usually means that they have reduced shank length, and because the long bones stop growing at this time, short shanks are often used as a diagnostic tool with prolapse problems in 22 - 34 week old pullets. iii) Fatty Liver Syndrome - The liver is the main site of fat synthesis in the bird, and so a 'fatty' liver is quite normal. In fact, a liver devoid of fat is an indication of a non-laying bird. However, in some birds, excess fat accumulates in the liver and this fat can oxidize causing lethal hemorrhages. Excess fat accumulation can only be caused by a surfeit of energy relative to needs for production and maintenance. Low protein, high-energy diets, and those in which there is an amino acid imbalance or deficiency can be major contributors to a fatty liver condition in layers. It is known that diets low in lipotrophic factors such as choline, methionine, and vitamin B12 can result in fatty infiltration of the liver. However, these nutrients are seldom directly involved in most of the fatty liver problems reported from the field. Excessive feed intake and more specifically high energy intake is the ultimate cause of the condition. It is well known that laying hens will over-consume energy, especially with higher energy diets and this is particularly true of high producing hens. Pullets reared on a feeding program that tends to develop a large appetite or encourages 'over-eating' (high fiber diets or skip-a-day feeding), are often more susceptible to the condition when subsequently offered a high energy diet on a free-choice basis during lay. There is some information to suggest that daily fluctuations in temperature, perhaps affected by the season of the year, will stimulate hens to over-consume feed. 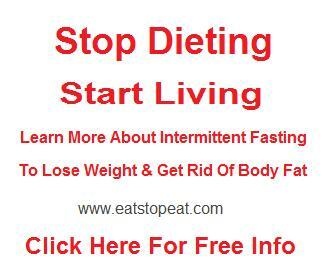 Hence, it is important to attempt some type of feed or energy restriction program if feed intake appears to be excessive. When fatty liver is a problem, adding a mixture of so-called 'lipotrophic factors' to the diet is often recommended. A typical addition may involve 60 mg CUSO4; 500 mg choline; 3 ^g vitamin B12 and 500 mg methionine per kg of diet. It should be emphasized that in many cases, the addition of these nutrients will not cure the problem. Increasing the level of dietary protein by 1 to 2% seems to be one of the most effective ways of alleviating the condition. However, such treatments do not work in all cases. Another treatment that may prove effective is to increase the supplemental fat content of the diet. This apparently contradictory move is designed to offer the birds a greater proportion of energy as fat rather than carbohydrate. The idea behind this diet manipulation is that by reducing carbohydrate load there is less stress on the liver to synthesize new fat required for egg yolk production. By supplying more fat in the diet, the liver merely has to rearrange the fatty acid profile within fats, rather than synthesize new fat directly. For this treatment to be effective, the energy level of the diet should not be increased, the recommendation merely being substitution of carbohydrate with fat. This concept may be the reasoning for apparent effectiveness of some other treatments for fatty liver syndrome. For example, substitution of barley or wheat for corn has been suggested and this usually entails greater use of supplemental fat with these lower energy ingredients. Similarly, substitution of soybean meal with canola or sunflower meals usually means using more supplemental fat if energy level of the diet is to be maintained. More recent evidence suggests that mortality is caused by eventual hemorrhaging of the liver and that this is accentuated or caused by oxidative rancidity of the accumulated fat. On this basis, we have seen a response to adding various antioxidants, such as ethoxyquin and vitamin E.
Adding ethoxyquin at 150 mg/kg diet and extra vitamin E at 50 - 60 lU/kg has been shown to reduce the incidence of hemorrhage mortality. Experience has shown that it is difficult to increase production in a flock once the condition is established. 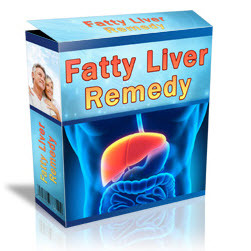 Thus, it is important that a proper program be followed to prevent the development of fatty livers. In some cases, the cause of the trouble can be traced back to pullets coming into the laying house carrying an excess of body fat. If these birds are then fed a diet in which the balance of protein and energy is slightly suboptimal for a particular strain of bird, a buildup of fat in the liver may occur. In addition, the feeding of crumbles or pellets in the laying house may aggravate this condition since the hen may over-consume energy. The results of an experiment studying effects of the level of dietary protein on percent liver fat are shown in Table 4.43. These older birds were all laying at a reasonable level and no Fatty Liver Syndrome problems were reported. As can be noted, all birds had livers high in fat. This is perfectly normal for a good laying bird and thus should not be confused with the Fatty Liver Syndrome where liver hemorrhage is the condition that usually kills the hen. Recent information suggests that a condition similar to the so-called Fatty Liver Syndrome may be caused by certain types of molds or mold toxins. Although no definite relationship has been established to date between molds and fatty livers, care should be taken to ensure that molds are not a factor contributing to poor flock performance. Periodically canola meal has been implicated with the Fatty Liver Syndrome. While there were earlier reports with some of the high glucosinolate rapeseed meals triggering such a condition, there is no evidence to suggest that canola varieties are a factor in the fatty liver condition. Hemorrhage due to feeding rapeseed is usually not associated with excess fat infiltration of the liver. iv) Cage Layer Fatigue - As its name implies, Cage Layer Fatigue (CLF) is a syndrome most commonly associated with laying hens held in cages, and so its first description in the mid 1950's coincides with the introduction of commercial cage systems. Apart from the cage environment, CLF also seems to need a high egg output to trigger the condition, and for this reason it has traditionally been most obvious in White Leghorns. At around the time of peak egg output, birds become lame, and are reluctant to stand in the cage. Because of the competitive nature of the cage environment, affected birds usually move to the back area of the cage, and death can occur due to dehydration/starvation because of their reluctance to drink or eat. The condition is rarely seen in litter floor managed birds and this leads to the assumption that exercise may be a factor. In fact, removing CLF birds from the cage during the early stage of lameness and placing them on the floor usually results in complete recovery. However, this practice is usually not possible in large commercial operations. In the 1960 - 70's, up to 10% mortality was common, although now the incidence is considered problematic if 0.5% of the flock is affected. There is no good evidence to suggest an association of CLF to general bone breakage in older layers, although the two conditions are often described as part of the same general syndrome. If birds are identified early, they appear alert and are still producing eggs. The bones seem fragile and there may be broken bones. Dead birds may be dehydrated or emaciated, simply due to the failure of these birds to eat or drink. The ribs may show some beading although the most obvious abnormality is a reduction in the density of the medullary bone trabeculae. Paralysis is often due to fractures of the fourth and fifth thoracic vertebrae causing compression and degeneration of the spinal cord. If birds are examined immediately after the paralysis is first observed, there is often a partly shelled egg in the oviduct, and the ovary contains a rich hierarchy of yolks. If birds are examined some time after the onset of paralysis, then the ovary is often regressed, due to reduced nutrient intake. CLF is obviously due to an inadequate supply of calcium available for shell calcification, and the bird's plundering of unconventional areas of its skeleton for such calcium. Because calcium metabolism is affected by the availability of other nutrients, the status of phosphorus and vitamin D3 in the diet and their availability are also important. Birds fed diets deficient in calcium, phosphorus or vitamin D3 will show Cage Layer Fatigue assuming there is a high egg output. Calcium level in the prelay period is often considered in preventative measures for CLF. Feeding low calcium (1%) grower diets for too long a period or even 2% calcium prelay diets up to 5% egg production often leads to greater incidence of abnormal bone development. It has been suggested that the resurgence in cases of CLF in some commercial flocks may be a result of too early a sexual maturity due to the genetic selection for this trait coupled with early light stimulation. Feeding a layer diet containing 3.5% Ca vs a grower diet at 1% Ca as early as 14 weeks of age has proven beneficial in terms of an increase in the ash and calcium content of the tibiotarsus (Table 4.44). Feeding a high calcium diet far in advance of maturity seems unnecessary, and in fact, may be detrimental in terms of kidney urolithiasis. Change from a low to a high calcium diet should coincide with the observation of secondary sexual characteristics, and especially comb development, which usually precedes first ovipo-sition by 14 - 16 d.
We recently observed CLF in a group of individually caged Leghorns. The birds were 45 weeks of age and all fed the same diet. Within a 10 d period, 5% of the birds had CLF, and feed analyses showed adequate levels of calcium and phosphorus. The only common factor was an exceptionally high egg output for these affected birds. All these birds averaged 96% production from 25 - 45 weeks of age, and all had individual clutch lengths of 100 eggs. One bird had a clutch length of 140 eggs (i.e. 100% production). Their sisters in adjacent cages fed the same diet and without CLF, had maximum clutch lengths of 42 eggs in this period, and average production closer to 90%. These data suggest that in certain situations CLF is correlated with exceptionally high egg output. There have been surprisingly few reports on the effect of vitamin D3 on CLF in young birds. It is assumed that D3 deficiency will impair calcium utilization, although there are no reports of testing graded levels of this nutrient as a possible preventative treatment. The other major nutrient concerned with skeletal integrity is phosphorus, and as expected, phosphorus deficiency can accentuate effects of CLF. While P is not directly required for shell formation, it is essential for the replenishment of Ca, as CaPO4, in medullary bone during periods of active bone calcification. Without adequate phosphorus in the diet, there is a failure to replenish the medullary Ca reserves, and this situation can accelerate or precipitate the onset of CLF and other skeletal problems. Low phosphorus intake is sometimes caused by the trend towards lower levels of diet phosphorus coupled with very low feed intake of pullets through early egg production. For strains susceptible to CLF, then at least 0.5% available phosphorus is recommended in the first layer diet to be fed up to 28 - 30 weeks of age. v) Bone breakage in older hens - CLF may relate to bone breakage in older hens, although a definitive relationship has never been verified. It is suspected that like the situation of CLF with young birds, bone breakage in older birds results as a consequence of inadequate calcification of the skeleton over time, again related to a high egg output coupled with the restricted activity within the cage environment. Few live birds have broken bones in the cage, the major problem occurring when these birds are removed from their cages and transported for processing. Apart from the obvious welfare implications, broken bones prove problematic during the mechanical deboning of the muscles. Adding more calcium to the diet of older layers does not seem to improve bone strength, although this can lead to excessive eggshell pimpling. Adding both calcium and phosphorus to the diet has given beneficial results in some instances, although results are quite variable. In young birds at least, adding 300 ppm fluorine to the water has improved bone strength, although there are no reports of such treatment with end of lay birds. Moving birds from a cage to litter floor environment seems to be the only treatment that consistently improves bone strength. This factor indicates that exercise per se is an important factor in bone strength of caged birds, but does not really provide a practical solution to the problem at this time. It is not currently known how to improve the bone integrity of older high producing hens without adversely affecting other traits of economic significance. For example, it has been shown that bone breaking strength in older birds can be increased by feeding high levels of vitamin D3. Unfortunately, this treatment also results in an excessive pimpling of the eggshells (as occurs with extra calcium) and these extra calcium deposits on the shell surface readily break off causing leakage of the egg contents. It may be possible to improve the skeletal integrity of older birds by causing cessation of ovulation for some time prior to slaughter. Presumably, the associated reduction in the drain of body calcium reserves would allow re-establishment of skeletal integrity. Currently such a feeding strategy is uneconomical, although consideration for bird welfare may provide the impetus for research in this area. 20-week-old birds, while even the first eggs produced will be large grade. Shell quality deteriorates more quickly in second and third cycles and this situation dictates the shorter cycles. The aim of a molting program is not necessarily to induce feather loss, but rather to shut down the reproductive system for a period of time. Generally the longer the pause in lay, the better the post-molt production. Egg pricing usually dictates the length of the molting period. If egg prices are high then a short molt period may be advantageous, whereas a longer molt period may ultimately be more economical when egg prices are low. Examples of molt induced by feed withdrawal are shown in Table 4.45. With the type of programs shown in Table 4.45, one can expect birds to molt and to decline to near zero percent egg production. The lowest egg production will likely occur about 5 - 7 d after initiation of the program, and maximum feather loss will occur a week later than this. Programs should be adjusted depending upon individual flock circumstances. For example, under very hot weather conditions it would be inadvisable to withdraw water for extended periods of time. With a feed withdrawal program, body weight of the bird is one of the most important factors. Ideally, the body weight at the end of the first molt should be the same as the initial mature weight when the bird was 18 - 19 weeks of age. This effectively means that the molting program has to induce a weight loss equivalent to the weight gain achieved in the first cycle of lay.